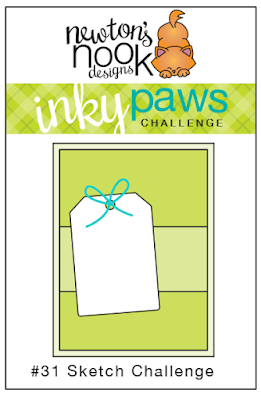 Inky Paws Challenge: Inky Paws Challenge #31- Sketch! create a project based on this sketch! You have TWO WEEKS to play along - Deadline to enter is Friday, May 13th, 2015 at Midnight CST. The winners will be announced on the NND blog. Post your project to your blog or to an online photo gallery such as Flickr, Pinterest, or splitcoaststampers (on splitcoast please use keywords newtonsnook and IPC31). 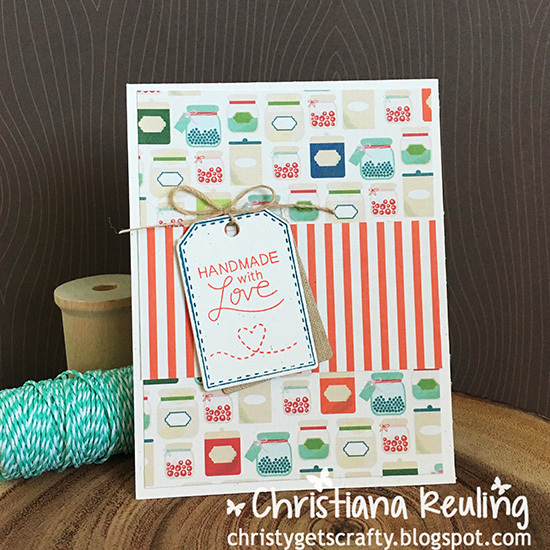 Our April Guest, Christy played along with our challenge and created this yummy card! 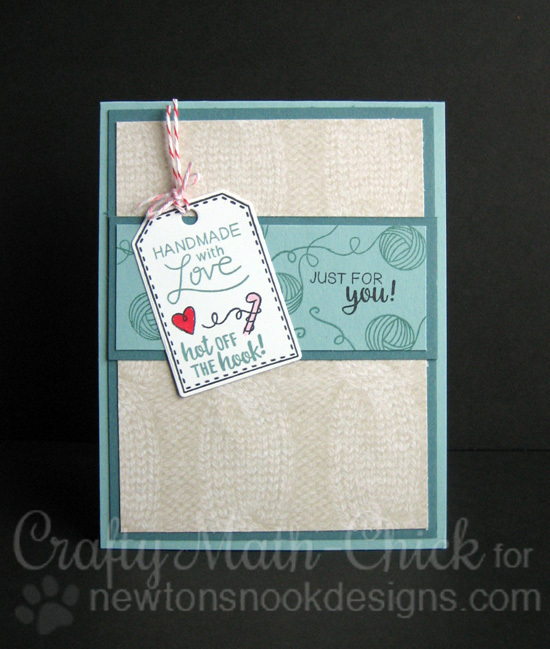 She used our Tag Sampler stamp set and Tags Times Two Die Set for the handmade with love tag. The little dotted heart image is from Winston's Honeybees. I love how she paired it with pattern paper that has handmade jars of yummy goodies on it! 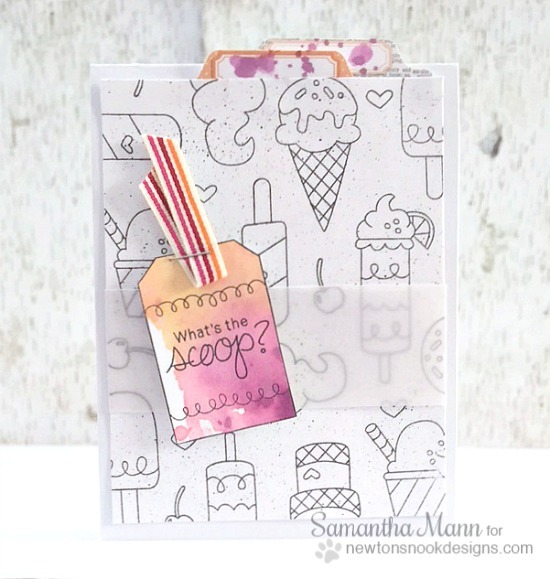 Samantha created this fun card using the sketch! I love the black and white background with the pop of color for the tag! She used our Tag Sampler stamp set and Tags Times Two Die Set for the tag. The ice cream is from the Summer Scoops stamp set. Jess created this fun BEE card using our new Tag Sampler stamp set and Tags Times Two Die Set along with the cute bees from the Winston's Honeybees stamp set! I can just imagine those bees buzzing every direction! Crafty Math-Chick had fun with our new Tag Sampler stamp set and Tags Times Two Die Set on her card. I love how she added in the ball of yarn from the Newton Unwinds set to create a fun background - and the subtle sweater paper too! I created a mermaid themed card with this sketch! I used our Tag Sampler stamp set to stamp the tag and I cut it out with the Tags Times Two Die Set. Then I colored the mermaid from the Mermaid Crossing stamp set and fussy cut her out. I added the "have a FIN-tastic birthday" sentiment to the tag, also from the Mermaid Crossing stamp set!